Choosing to become a horse owner is an exciting decision that is incredibly rewarding. It is also a role that comes with an incredible amount of responsibility. There are many things to love about horse ownership, and caring for your own horse is an enriching experience without a doubt. 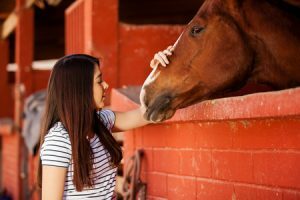 If you are considering purchasing a horse of your own, or have recently become a first-time horse owner, there are several things that you can do in order to manage horse ownership easily. Finding the right horse might take time, but it is a decision that cannot be rushed. Purchasing a horse is a major decision and there are many things to consider when making it. First, you need to consider what breed, age, size and gender of horse will best suit your needs. There are a variety of different horses available, and some are suited towards competitions while others are suited towards leisure. 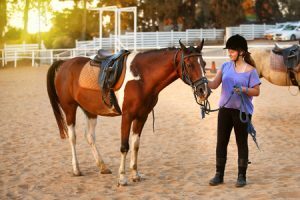 If you are a new rider with limited experience, you may want a “schoolmaster” which typically knows different commands and how to perform them. If you are an accomplished rider, you might want to train a “green youngster” horse to suite your preferences. If you are looking to compete in competitions as soon as possible, you probably want to purchase a horse that has already done the types of competitions you typically enter. Breed is also a big part of selecting the type of horse you need. Draft crosses and draft breeds are often quieter horses, fitting for beginners and experience riders. Once you have found a horse you are interested, ask the seller for information regarding its medical history and ask them to ride the horse in front of you to see how the horse handles before purchasing. If you have concerns, you can also call the seller’s farrier and veterinarian for their recommendations and experience with the animal. 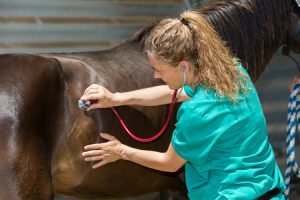 You may also want to take an experienced horse owner with you to your viewing of the horse, as they will likely be able to notice issues you might miss. However, the size of these breeds often poses as a challenge because they are relatively large. For example, if the horse has chewed through stable walls or scraped paint off of surrounding items, they might have a behavioral issue. If the horse is kept somewhat separate from the rest of the herd and seems irritated, it could have aggression issues. General appearance will also provide you with insight into the horse’s overall well-being. If the horse seems relaxed, well-balanced, and alert, these are all signs that indicate good health. Before purchasing, you should also make sure you are well-aware of the time and the money that it will take to own a horse. Can you provide this without questions? If you are going to be the person taking your horse out on regular rides, you should be investing in professional lessons at least once a week. While it’s tempting to think you can pick things up as you ride, you shouldn’t try to do so for the safety of yourself and your horse. You could injure yourself and your horse if you don’t know what you’re doing. There is no need to become an expert before taking your horse out for a ride, but a few beginner lessons will do a world of good to help you train properly. Throughout the course of your ownership, attending lessons and clinics can help keep informed and refreshed. Also, consider letting your horse rest for a period of time when you first bring them home. Moving is an overwhelming change for them as well, so it might be best to let them get used to their surroundings before you take them out for a ride. A big part of horseback riding is building a sense of trust and closeness between you and the horse. Once your horse is home, spend some time getting to know him or her. Although riding your horse is vital to keep them active and exercised, it is also important to spend time simply being with them. Observe your horse and try to identify if there is anything in their new environment that could potentially agitate it. Of course, the most obvious thing you need to do is get used to act of feeding, grooming, and just generally caring for your new horse on a regular basis. Performing these acts will show your horse that you are now their permanent caretaker. 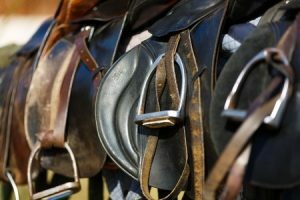 If you plan on riding your new horse, don’t get started without the proper tack and equipment. A good helmet is a must, along with proper riding attire from pants to breeches. Your horse will also need the right equipment, from a saddle to halters. Quality equipment helps to ensure that all rides are safe rides. Make sure to upkeep your equipment, cleaning it regularly. Keep in mind that a halter and lead rope are essentials for horse owners. Getting prepared to ride a horse in the proper equipment is an expense but a necessary one. Riding a horse takes a certain level of skill and patience, so going about it the right away is essential for the safety of both you and the horse. For an expanded list of items to consider, click here. An important part of purchasing a horse is making sure that you have the appropriate shelter lined up well beforehand. 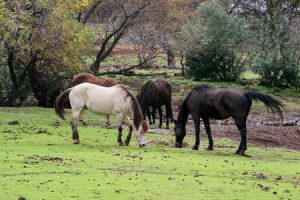 Many people that purchase a horse choose to board the horse if they don’t have an appropriate sized pasture. 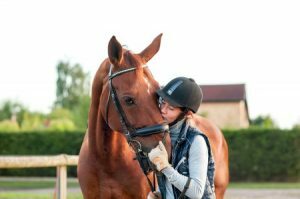 It is important to keep in mind that boarding is an expensive option, and if you’re purchasing a horse, you need to make sure that you can afford to house it properly. Boarding often includes a horse’s water, food, stall cleaning, taking the horse out to pasture, and more. However, boarding is costly and can get up to $1,000 in some cities. Look to see if the boarding stables have run-in sheds as well, which allow horses immediate shelter when out at pasture if needed. If you’re looking for a stable to board your horse, making sure you are getting your money’s worth is important. Ask questions regarding what care is included and what variety of options are available. 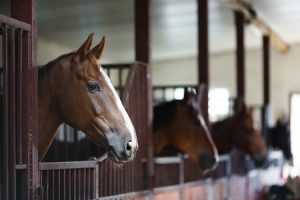 If you are housing your horse at a personal pasture, you should consider getting a run-in shed as well. A great addition to any ranch or large property, a run-in shed provides a safe and secure place for horses whenever they might desire it. You will also need a barn on your property in order to house your horse safely. A barn will give the horses on your ranch the healthy life that they deserve and a comfortable place to sleep each night. Hoof care is also vital for horses and proper hoof care helps protect horses from injury and helps them preform their best. A farrier should be checking your horse’s feet once a year in order to make sure hooves are trimmed and shaped and that their horseshoes fit appropriately. If you recently purchased a horse, or you’re in the process of doing so, and you want a quality barn or cabin for them to take shelter in, visit Deer Creek Structures today.